Starting Over Isn’t the Same for Everyone? Why trade one bad relationship for another? So ponders divorcée Mandy Patterson, whose friends are pushing her toward finding a new man. But does Mandy really want another man in her life? In the light-hearted new novel Dry Flowers, Mandy has been divorced from her high school sweetheart, Clark, for three years. The former cheerleader has always been with a man, but now wonders if she wants another Neanderthal in the house sloshing down beer and playing with the remote. When Mandy attends her high school class reunion, she learns that happiness may not come from what she expects. This clever page-turner takes a fascinating direction that you never saw coming. 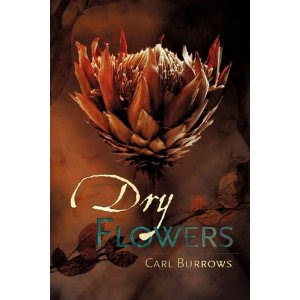 Carl Burrows began writing this book after attending his wife’s high school class reunion. He was challenged by others at his table to make a story out of the evening, but a story does not always go where you intend. His next book is a historical romance. Retired, he and his wife live in paradise, across from Paradise Beach in Florida. Learn to write BLOCKBUSTER FICTION! Public Anatomy by A. Scott Pearson-Available Now!